Tata Motor shown growth of 11% in Domestic sales while no increase and decrese in export in month of April 2016. Over all 10% growth is recorded in month of April 2016 compare to same month last year. Tata Motors recorded 6% growth in both Cars and Utility Vehicle sales in April 2016. Over all 6% growth in Passenger Vehicle segment in April 2016. Tata Motor Domestic commercial vehicle sales recorded 13.29% growth in April 2016. In Commercial Segment M&HCV shown excellent growth of 25% while LCV shown 3% growth in April 2016 compare to same month last year. Dato’ Mohd Shukrie Mohd Salleh, Group Chief Executive Officer of POS Malaysia said, “We see the leasing exercise as a platform for POS Malaysia to expand our logistics business growth in this region, as forecasted during the 2015/2016 Financial Year volume of Courier, Express and Parcel (CEP). Tata Xenon Single Cab 4×2 Pick-up is distributed by DRB-HICOM Commercial Vehicles (DHCV), an exclusive distributor of Tata Motors commercial vehicles in Malaysia. For the POS Malaysia project, the customised designed box body is fabricated by Oriental Summit Industries Sdn Bhd (OSI) to EZ-Drive. 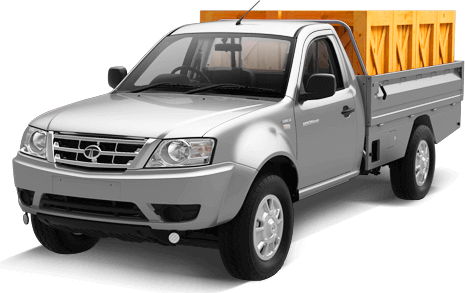 The Tata Xenon Single Cab 4×2 Pick-up is a workhorse that can be customised for various commercial applications. Besides, offering best cost-of-ownership, it comes fitted with turbo-charged engine that gives more power with better fuel efficiency, extended service interval of 15,000km as well as tough and durable build, engineered to support heavier loads and ensures long-term saving.